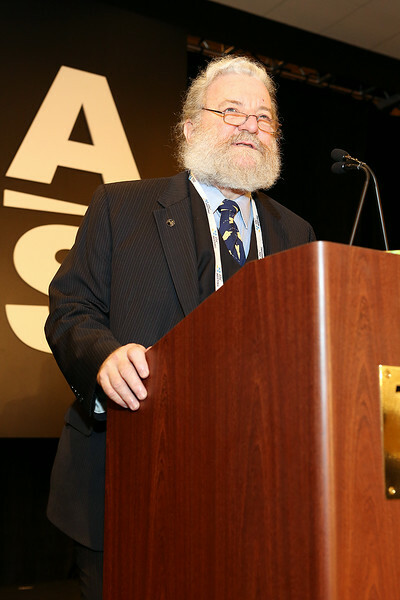 Kicking off his last AAS meeting as President of the Society, David Helfand (Quest University Canada) welcomed attendees to Boston at the opening plenary session on Monday morning. Kicking off his last AAS meeting as President of the Society, David Helfand (Quest University Canada) welcomed attendees to Boston at the opening plenary session on Monday morning. AAS photo © 2014 Joson Images.